From "Inconvenient truths about our evolution?" "2 .Liberals are more intelligent than conservatives. "A study by Dr Kanazawa, published in Social Science Quarterly in March, based on the same data showed that young adults who identified themselves as "very liberal" had an average IQ of 106 while those who identified themselves as "very conservative" had an average IQ of 95. "'The ability to think and reason endowed our ancestors with advantages in solving evolutionarily novel problems for which they did not have innate solutions. As a result, more intelligent people are more likely to recognise and understand such novel entities and situations than less intelligent people, and some of these entities and situations are preferences, values, and lifestyles,' Dr Kanazawa said. "Humans are evolutionarily designed to be conservative, caring mostly about their family and friends. Being liberal and caring about an indefinite number of genetically unrelated strangers is evolutionarily novel. So more intelligent children may be more likely to grow up to be liberals..."
"Power Rankings Week 5: The 10 Most Absurd Conservatives of the Week." "10) Rep. Steven Palazzo: This gentleman, while seemingly not meaning any kind of malicious intent behind the gesture, decided he would send every single member of Congress a copy of the Bible. Even if they weren’t Christians. And while this might have just been a 'kind gesture,' it still seems highly inappropriate to send religious text to people who never asked for it. 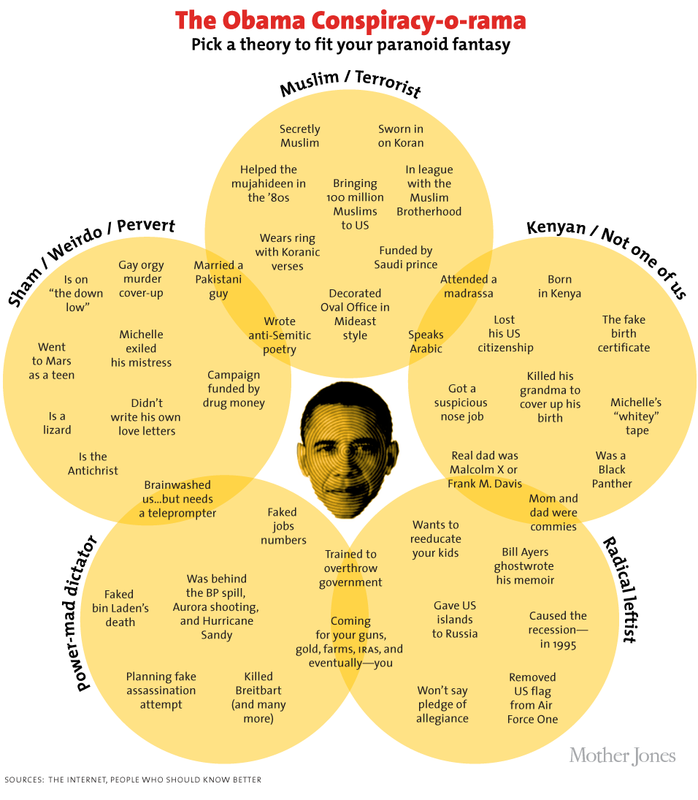 Especially members of Congress..."
"Here’s Every Insane Anti-Obama Conspiracy in One Handy Chart." "The fight over Medicaid expansion continues, with 24 conservative states still refusing to expand health care to low-income working residents simply because of politics. As we have documented before, these political games have real consequences: Charlene Dill, a 32-year-old working mom with three small children, died in late March because she fell into Florida’s Medicaid coverage gap and wasn’t able to access the care she needed..."
"Obama Blasts Republican Science Deniers Using Some of the Harshest Language Yet! (Video)." "After six years of failed attempts to negotiate with those ornery Republicans, President Barack “No Drama” Obama has finally had enough. "In a wind-ranging interview with New York Times op-ed columnist Thomas Friedman entitled 'America’s Place in the World,' Obama blasts the Republican Party in some of his harshest language yet — especially when he talks about climate change..."
Because Fox Snooze is always right! "Oops! Fox News uses photo of Tina Fey for story on Sarah Palin." "Tina Fey's impersonation of Sarah Palin is so spot-on that Fox News apparently thought she was the former Alaska governor, at least for a moment. 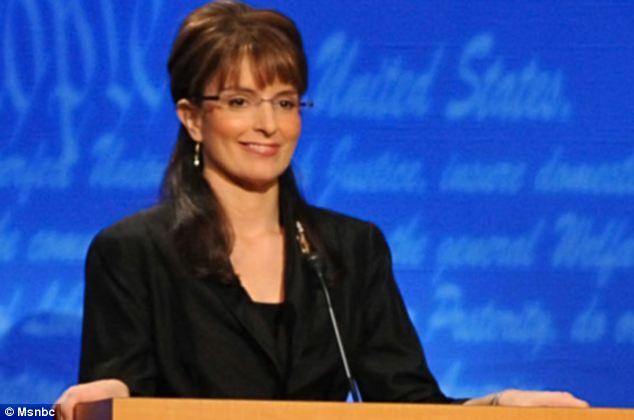 "A Fox News report on Sarah Palin's undeclared presidential aspirations showed a photo of comedian Tina Fey impersonating the politician. "When the picture of Ms Fey, in character as Mrs Palin, was shown on the screen, the text below the news presenter read: 'Tracking the movements of some 2012 contenders'..."
We've inserted tongue in cheek very slightly when composing this post, but the truth is that Conservatives can't kill, steal, and cause misery to the People without the help of the very stupid. As neuroscientists get closer to discovering the "stupid gene," they may also close in on a genetic cure for the disease of stupidity. 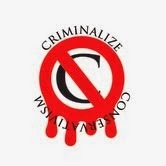 Or we can just criminalize Conservatism and save lives and money. "I'll take crazy over stupid any day."